P6 Eggy News Egg vending machines and a world-record egg. P8 Looking ahead The next steps towards helping our hens. P10 Hensus! Yep, it’s time to tell us all about you and your girls! P16 Tales from the coop Supporter Jo Seaman tells us what her hens have been up to. 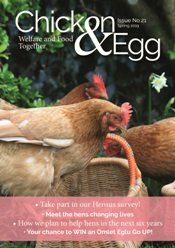 P20 Hens helping people A truly heart-warming story of how ex-bats help us. P23 Re-homing dos and don’ts If you’re picking up your next flock soon, make sure you read this! P25 Competition time! 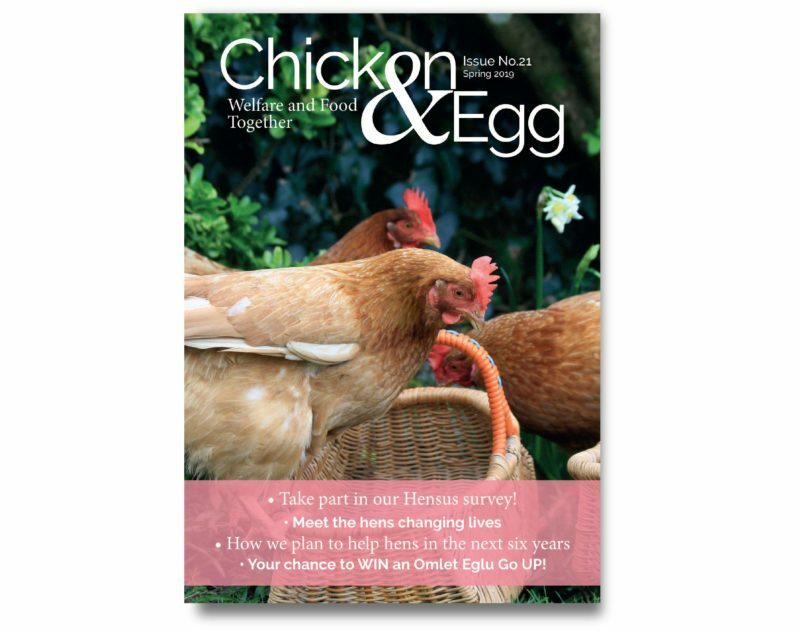 Your chance to win a fabulous Eglu Go Up from our friends at Omlet. 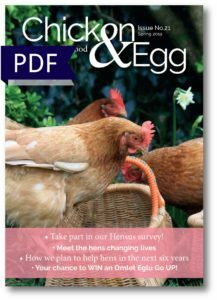 P30 Flying the British Egg Flag Find out about a Gloucestershire farmer doing great things for hen welfare. P46 Let’s get shopping! Homewares and hen keeping essentials are on this month’s list. 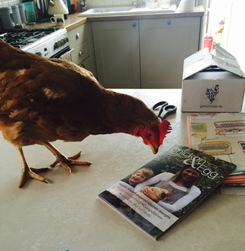 P49 Broody hens Our Gaynor explains how you can help a hen who’s decided she wants chicks.